The images of young children with large sad eyes has resonated with people since the late 1950's. I remember seeing the images on mugs and calendars and always thinking they were so cute. They have become iconic now but ever wonder who created them? 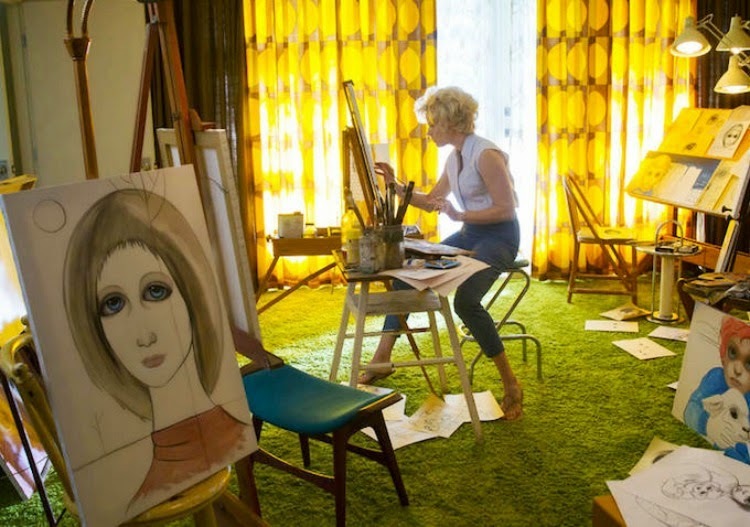 Big Eyes tells the story of Margaret Keane and how her second husband Walter Keane promoted and sold her work as his own. Personally it took me a while to get into this film. It was hard for me to watch the blatant sexism and the way Margaret just allowed the web of lies to continue to grow. 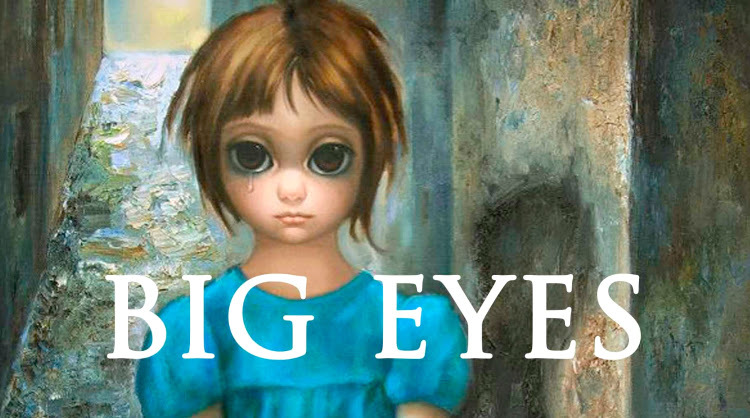 It was crushing to watch her spirit slowly get destroyed by the inability to tell the world that she was indeed the artist behind the famous "Big Eyes" paintings. But I stuck with the film and as I watched her story unfold from divorcee in the 1950's with a small child to confidante artist in the 1970's. I was good to see her realize her mistakes and realize how naiive she was to believe everything Walter Keane said. I am aware that it was a different time, a time when women were told that they should listen to their husbands and not think for themselves but I had a hard time believing such an incredible artist could allow anyone who tell her how to live. She was bold in her style and brave in her art. It was hard for me to put the two parts of her together. I did enjoy the film but the sexism of the 50's and 60's did get on my nerves as it does whenever I watch a film or show that depicts it. Otherwise I loved seeing the process of a painting coming together and learned more about the story about the infamous "Big Eyes" paintings. Are you familiar with Margaret Keane's story or her art? 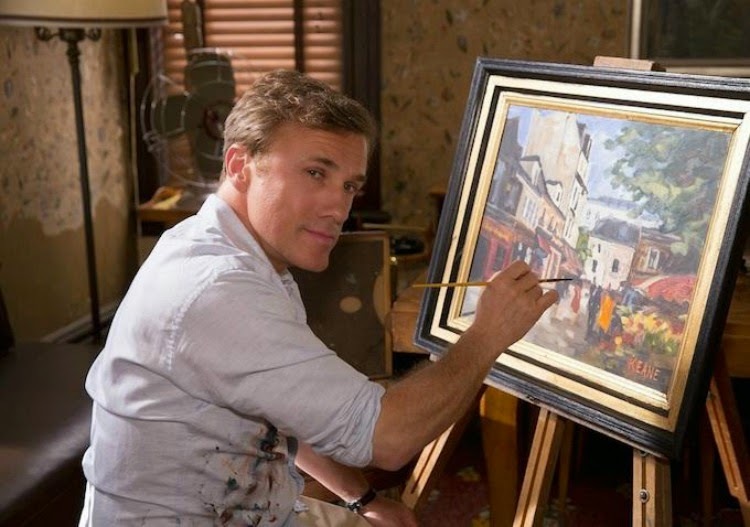 Did you see this film already and if so, what did you think? I also included a photo of Margaret Keane today with Amy Adams who played her in the film. Believe it or not, she is still actively painting at the age of 88. I meant to see this film when it first came out, but like many other things, it fell by the wayside. I would still really like to - at the very least, I always find Tim Burton movies aesthetically interesting. Her life does sound really fascinating, and I strongly remember being creeped out by those pictures when I was a kid. It warms my heart that (the real) Margaret was able to meet the actress that portrayed her. 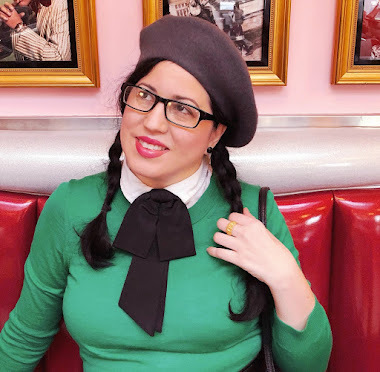 That has to be such an incredible, if not surreal, sort of experience for anyone (and, could she look more elegant - what a stylish lady, right down to her darling puppy brooch!). Haven't heard of it till now, but def adding it to my list.